Q: What is the decal made of? A: The decal is made out of a vinyl material. Q: Does this decal have adhesive on back so it can be applied ? 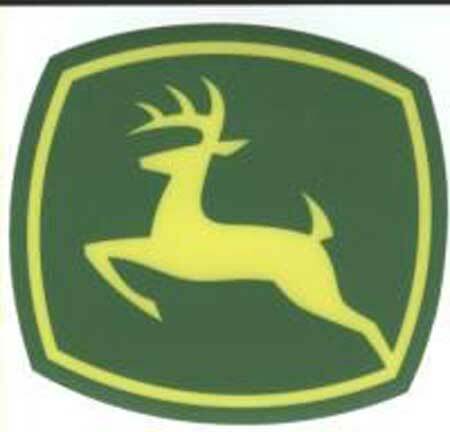 A: Yes, this decal would have adhesive on the back of it so you would be able to peel it off and stick it on the surface of your John Deere.